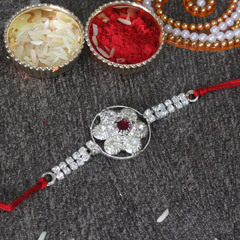 Beautifully dazzling and uniquely designed Stone Studded and Beaded Silver Rakhi like this can never let you fail in impressing your brother during this Raksha Bandhan. 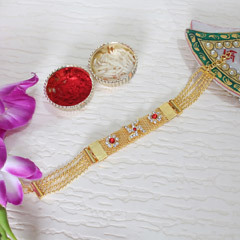 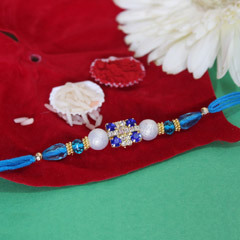 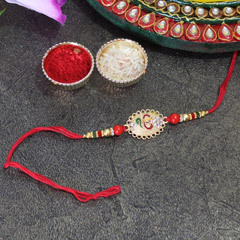 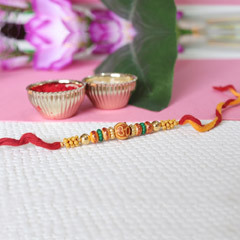 It’s a very unique and artistic Rakhi crafted with lots of sparkling stones and attractive beads too. 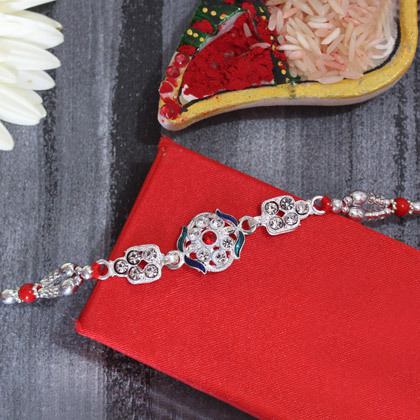 Your brother will definitely love to wera and flaunt it on his wrist.